It would not be possible to describe the joys of rural Cheshire without mentioning the traditional pub. The traditional pub, serving cask ales in front of roaring fires is rapidly disappearing from the much of the country. However, you have no fear of remaining parched for too long in this part of Cheshire. Within a five mile radius of Stoneyfold Park, there are some fantastic, award-winning pubs serving real ale and excellent food made with local produce. 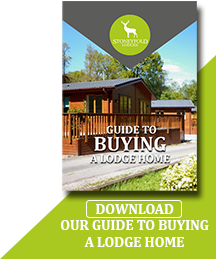 We can recommend Sutton Hall in Sutton, The Leather’s Smithy in Langley, the Hanging Gate in Higher Sutton and the Ship Inn in Wincle. 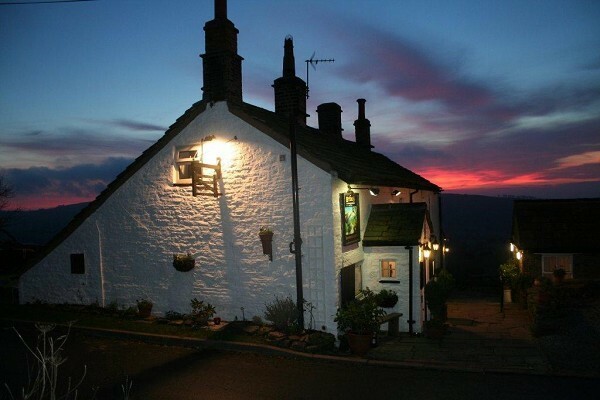 The Leathers Smithy Built in the 18th Century alongside Macclesfield Forest Reservoir, this stone built former smithy is warm and cosy with real fires and a stone flagged bar area. 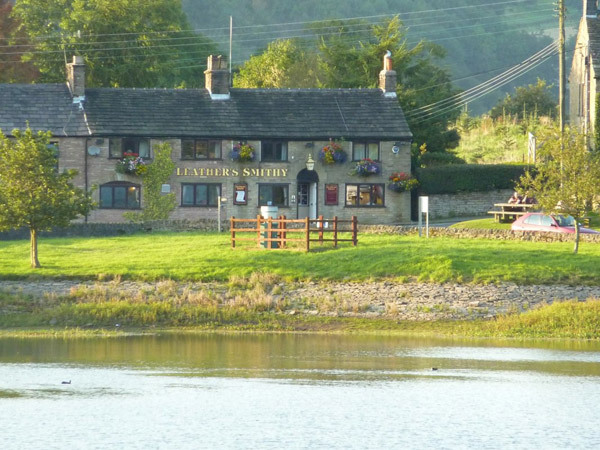 The Leathers Smithy attracts walkers and fishermen, but being only three miles from Macclesfield, also has its regular fans from the busy market town. 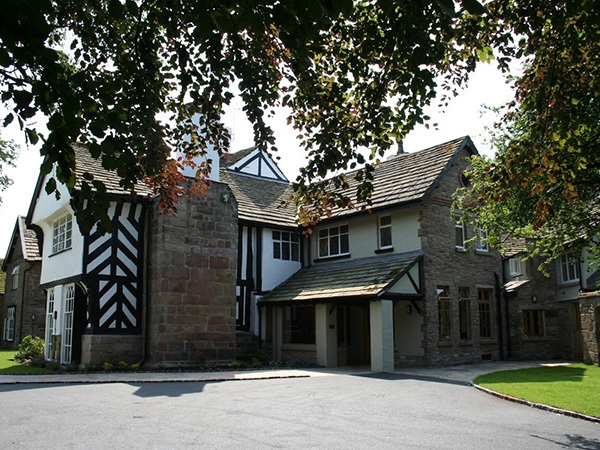 The Hanging Gate Inn near Langley is an old Drovers pub, licensed for over 300 years. The pub sign is a hanging gate with the legend ‘This gate hangs here and troubles None. Refresh and Pay and Travel On’. Situated on the high moors in an elevated position you can take in the splendid views as you relax and enjoy great food and drinks. Sutton Hall is located about 5 miles from our Park. The pub is a 480 year old manor house, family home of the Earls of Lucan and a former convent. You’ll find nooks and crannies everywhere, with a snug, a library and a warren of seven different dining areas, with plenty of terraces and gardens to enjoy the sun. 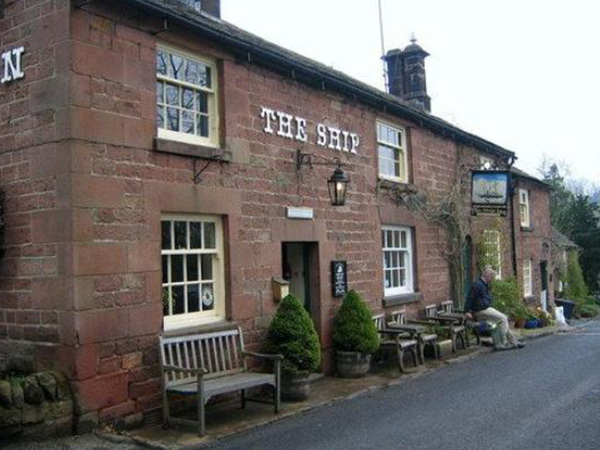 The Ship Inn is a quintessential unspoilt country pub, serving real ales, a selection of Belgian beers and fine wines. They have a regularly updated menu based on fresh, local produce wherever possible, and bar snacks are available at any time. They also offer an outside bar service for weddings and other functions.